What if you had worked your whole life, based on the hope of a better world for your children, and then discovered that the better world already existed, and that you weren’t allowed in? And what if that better world was built on the captive labor of you and thousands of others like you? 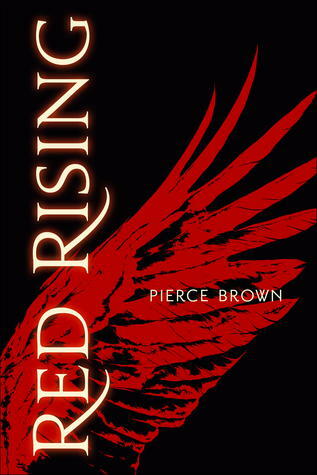 That’s the premise of Red Rising, the first novel in a trilogy by debut author Pierce Brown. Young Darrow, a member of a social class called the Reds, has toiled for his entire life on the bleak interior of Mars, mining raw materials that are to be used to terraform the surface someday. 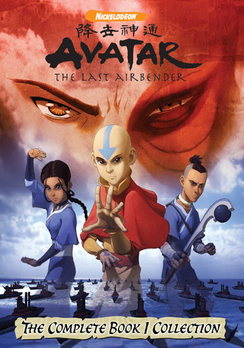 But after a string of events that turn his life upside down (I don’t want to give away too many plot points), he is brought to the surface and discovers that the terraforming is already done, and that the Golds, the top class in a society where different colors have different places, live there in godlike luxury. The trouble is that the Golds also have godlike bodies and minds, leaving the rest of society without the tools to revolt against them. But the Sons of Ares, the secret organization that has brought Darrow to the surface, have the surgical skills to build him into someone who can pass as a Gold. Darrow is to infiltrate the company of other young Golds and try to rise to a powerful position in their society, a position from which he might be able to foment a civil war. To reach that point, Darrow will have to compete in a contest of savage war games with shifting rules between houses of young Golds, many of them with almost godlike physical and mental powers. This is science fiction, but it reads like epic fantasy. 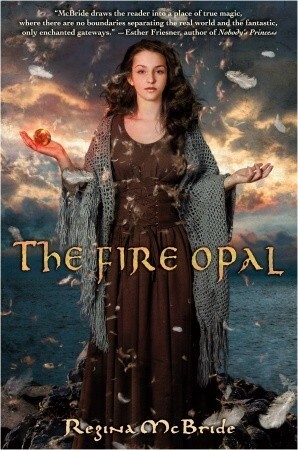 If you’ve been looking for a book that blended the worlds of The Hunger Games and an epic fantasy like Game of Thrones, you’ll love it. Brown builds his world in a way that seems effortless but is completely satisfying. His characters are diverse and intriguing. Unlike many epic works, the story here takes off quickly, and readers will be pleased to find that they don’t have to wade through hundreds of pages before they start getting the payoff. Best of all, whenever it starts to look like the story will get predictable, Brown finds a major twist to raise the stakes for Darrow. One warning, Brown has created a violent world, and if you don’t care for that, make another reading choice. I’ve finished the second book of the series, Golden Son, and it’s every bit as exciting as the first. I’m not always quick to read series, but I’ll be in the line when they release Morning Star in 2016. 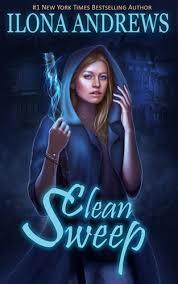 This urban fantasy/science fiction novel started as a free serial on the Ilona Andrews web site. The authors — Ilona Andrews is the pen name of a husband and wife writing team — wanted readers to have a chance to comment on the story as it developed. They published the weekly entries as a book in 2013. Dina Demille runs a bed and breakfast in a small Texas town. When she pulled out her broom to fight off an intruder, I assumed she was a witch. But the story surprised me. The Inn is lodging for otherworldly visitors, and Dina is an Innkeeper, someone whose duty is to provide sanctuary. When something evil begins killing family pets, Dina encourages her new neighbor (whom she suspects is a werewolf, another alien lifeform) to take care of his territory. The arrogant (and handsome) man pretends he doesn’t know what she’s talking about, so Dina takes it upon herself to get involved even though it means risking her neutrality. She can’t sit by and let a vicious killer hurt her human neighbors. Dina discovers that the enemy forces are too powerful for one person to handle. She ends up forming an alliance with her werewolf neighbor and a vampire soldier to kill the intruders and find out who sent them to Earth. This was a quick read with lots of fast-paced action and witty banter. The unexpected alien aspect of the story was engaging. Part of me wanted to keep reading just to figure out how all this galactic stuff fit together. And part of me kept reading just because Dina was such a “normal” character in extraordinary circumstances. The second book of the Innkeeper Chronicles is being developed on the web site, but catch up on the story by reading Clean Sweep first. The Graveyard Book was originally published as a novel in 2008 to a flurry of well-deserved praise, eventually earning the Newbery Medal, Carnegie Medal, and Hugo award. The story follows a boy named Nobody Owens, nicknamed Bod, who, as a very young child, flees to a graveyard after his parents are murdered by a man named Jack. The ghosts, after a heated discussion, extend to Bod the Freedom of the Graveyard, which protects him and allows him to interact freely with the dead. Of course, there is a limit to what a ghost can do, so Bod is assigned a Guardian, named Silas, who is neither living nor dead, and who can go out into the world of the living and procure the supplies that the boy needs. He begins his new life amongst the stones and tombs, protected from harm as Jack continues to search for his missing victim. The story is wistful and haunting. The reader feels the great loss that Bod has experienced, yet he is himself too young to understand it fully. It’s not that the ghosts make bad parents; it’s just that a bit of emptiness haunts the margins of the book: the reader’s knowledge of the family life and friends that this little boy has been denied by virtue of his situation. This sense of longing can’t easily be shrugged off. Even leaving the graveyard puts him in serious risk, as the killer Jack can reach him if he wanders outside the gates. 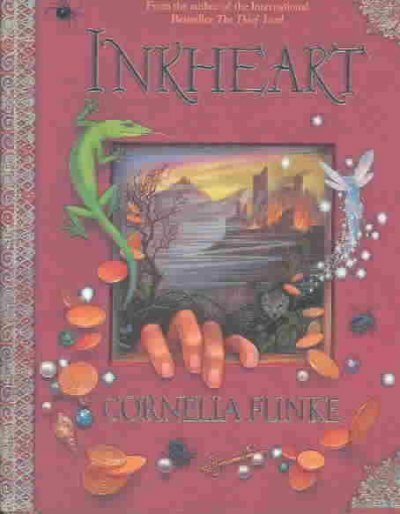 The novel has been adapted by P. Craig Russell, who has won Harvey and Eisner awards for other projects, and who also created a exceptional graphic adaptation of a previous Gaiman book, Coraline. In this instance, the adaptation was done by Russell, but he only drew one of the chapters himself. Each chapter is done by a different artist, seven in all, and the illustrations are stunning. Sometimes having multiple artists can adversely affect the continuity of the visual storytelling, rending it difficult to recognize a character from one section to the next, but not in this case. Each section is unique, but all of the artists do a remarkable job of capturing the atmosphere of the book. Recommended for readers of science fiction, horror, and graphic novels. Although the book is marketed as being for young teens, it is appropriate for adult readers as well.